The strained right quadriceps that forced Christian Pulisic to exit the United States’ friendly against Chile on Tuesday will sideline him for 3-4 weeks, according to ESPN’s Jeff Carlisle. Pulisic scored early against Chile but had a noticeable limp later in the first half, which led to the substitution. The U.S. Soccer Federation announced the specifics of the injury on Wednesday. 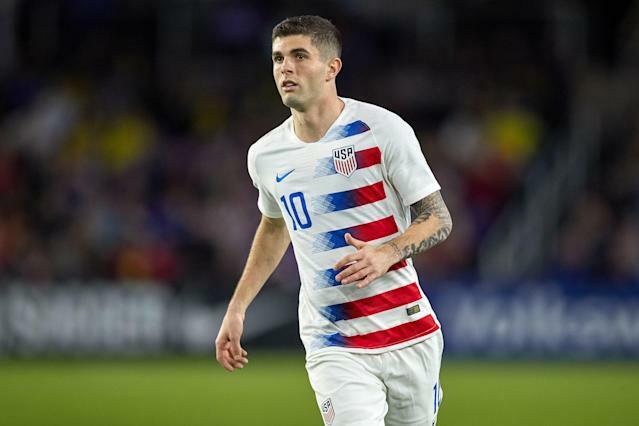 Despite the injury, Pulisic is poised to return well before this summer’s CONCACAF Gold Cup, which likely has U.S. fans breathing a sigh of relief. Borussia Dortmund fans, not so much. The German giants led the Bundesliga for much of the season but have already been caught by Bayern Munich, and they visit their rivals next Saturday in Der Klassiker, a match that may well decide the title race. Pulisic has been nagged by injuries in recent months, and the announcement of his summer transfer to Chelsea in early January has left him adrift at Dortmund. But his performance off the bench was the catalyst behind the club’s victory over VfB Stuttgart earlier this month, and he played the full 90 minutes in an away win over Hertha BSC two weeks ago. So the uphill climb Dortmund had in fending off Bayern just got steeper.